In a slam former First Lady Michelle Obama said that life in the USA under President Trump is like living with a divorced dad. “We come from a broken family. We’re a teenager, where, you know, we’re a little unsettled, you know, and, you know, having good parents is tough, you know, and sometimes you spend weekends with a divorced dad that feels like it’s fun but then it gets sick. That’s what America is going through. We’re kind of living with a divorced dad right now” Obama said. While Michelle Obama and I may disagree on whether or not President Trump is doing a good job there’s absolutely no reason to disparage the millions of single dads who sacrifice every day to provide a good life for their children. Living with a divorced dad on the weekends was the only time I felt safe and not alone. So she’s right. The best part of my divorced family was seeing my dad every two weeks. Should have thought that one out before saying it …. Don’t disagree with you often @MichelleObama but that is a disservice to divorced dads! As a divorced dad, who loves his kids and works two jobs that one hurt. 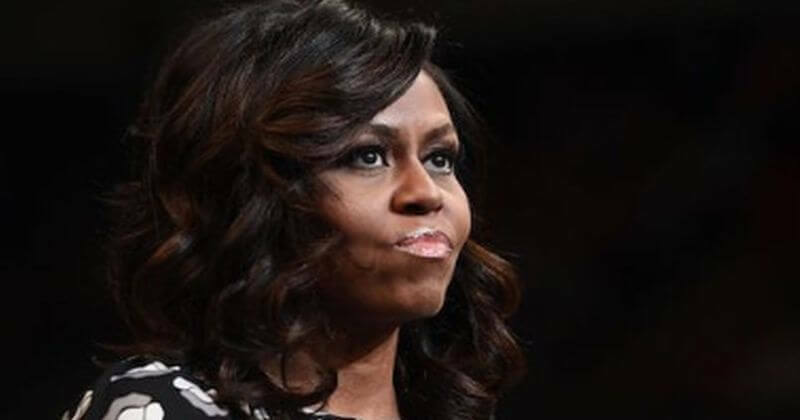 Michelle Obama should be ashamed of herself, but Democrats never seem to express or feel shame for their words and deeds. They only pretend to apologize when the heat gets too high.